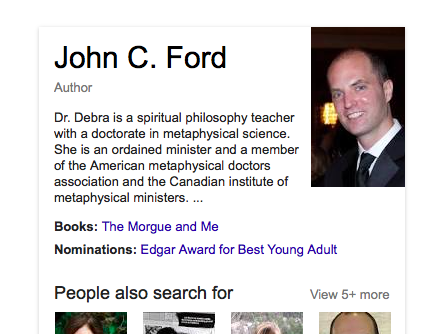 The Morgue and Me paperback is #1 . . . In, ummm, “Teen & Young Adult United States Colonial & Revolutionary Periods History.” The Morgue and Me is set in the present day, but whatever, I’ll take it! Read her whole take here. 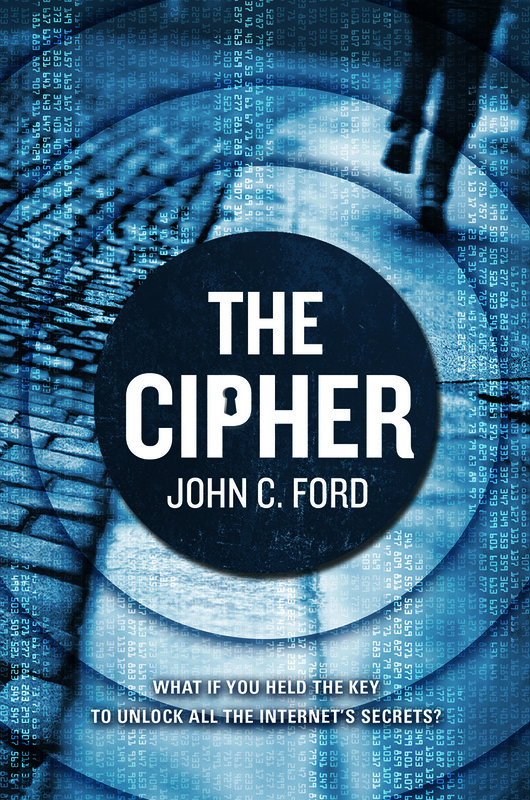 If you’re on Goodreads and want a shot at a free advance copy of The Cipher, good news: I’m having a giveaway. ARCs are going out to five lucky winners. Put your name in the hat here. Thanks to the folks (or maybe it’s just folk) at Twinning for Books for a nice review of The Cipher. The plot had so many twists sometimes I couldn’t keep up. I could definitely see this as a movie because in this techno age, this stuff could happen. It’s a bit scary but I couldn’t put it down until the plot came together at the end. It was a nice wrap up to a thrilling adventure. I’m flattered and everything, but I am no Dr. Debra. The reviews are in . . . and they’re good! The reviews for The Cipher are coming in . . . and they’re good! Ford follows up his debut, The Morgue and Me (2009), with another taut thriller. . . . Composing his novel with short chapters that switch perspectives among key players, Ford knows precisely when to lay his cards out on the table. Readers will speed through this book as they try to solve the narrative’s puzzle before the solution is revealed. Given all the national security leaks making the news, this book about privacy could not be more current. [T]he focus here is on the fast-moving action and web of double-crosses and buried secrets. Smiles’ confident, upbeat and largely ingenuous voice lends the book charm, and chapters in which Smiles’ fond ex-girlfriend Melanie investigates Alyce Systems’ past are both warm and suspenseful. Many different storylines are at play here besides the NSA scheme: Smiles’ family history, the upcoming Alyce Systems initial public offering, Smiles’ relationship with his dying father and Smiles’ growing attachment to a girl he meets at the conference. Each plotline works neatly with the others and achieves a satisfying resolution. Color me very happy that The Cipher is getting some nice advance praise.